Round beach towels are all the rage and sisters Emma Henderson and Victoria Beattie of The Beach People have been instrumental in making this THE accessory to be carrying on the beach. 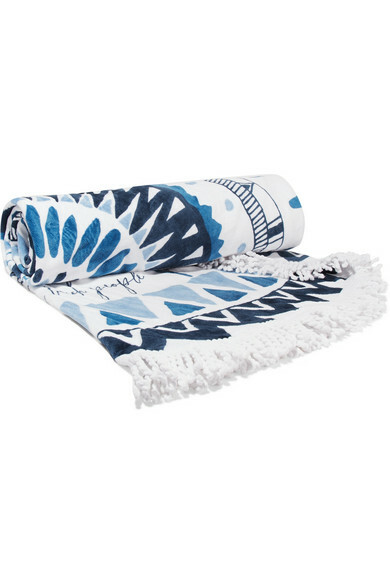 The geometric patterned ‘Majorelle’ towel was inspired by a trip to a Moroccan botanical garden. Unfurl for the perfect picnic mat or an on-the-go sunbathing stop. Why not upgrade your beach swag and purchase the leather harness carrier so you can transport your towel in style? 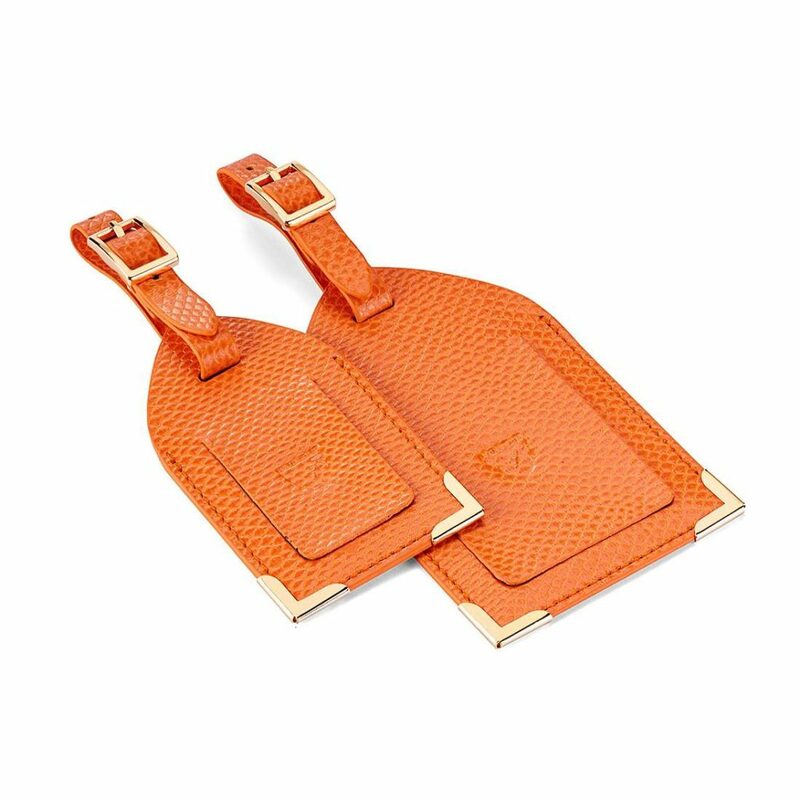 Make your bags instantly recognisable on the carousel with a set of bespoke luggage tags from luxury leather experts Aspinal of London. Embrace the summer spirit completely and go a step further by getting them in a zesty hue reminiscent of warmer climes. Aspinal offer the best in quintessential English luxury leather. All products are handmade by their quality leather craftspeople and designed to last for years to come. Whether stylish travellers choose orange lizard or dahlia saffiano leather tags, they can be sure that their luggage will impress. Transport your favourite summer scent in style and without worry of any accidents in the plane with this luxury travel spray case. 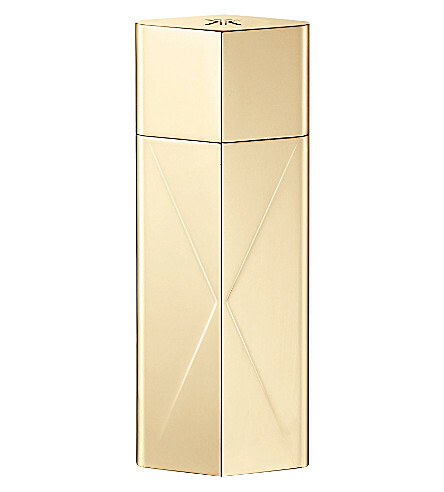 The gorgeous gold-toned metal case not only looks great on any dressing table, is it perfectly proportioned to contain 11ml perfume refills from Maison Francis Kurkdijan’s Globe Trotter collection. Each case comes with a hand-sewn leather pouch embossed with the brand’s logo, making it ideal for a gift as well as to treat yourself. This portable travel lock box is one of those items you never knew you needed so much until you try it! 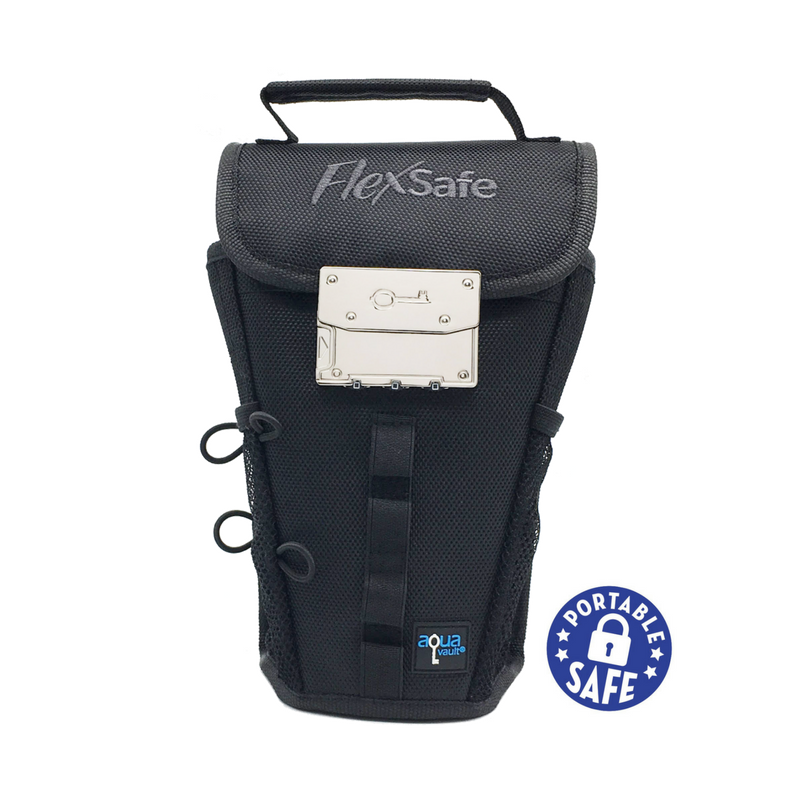 Especially handy for those who a regularly traveling, the Flexsafe Travel Safe is ideal for taking on vacations for storing all your valuables whilst on the go. The travel safe is cut resistant and includes RFID blocking material so any digital assets are safe too. Pop your valuables in the pouch and easily attach to any fixed object like sun loungers, beach shades, or even closet rails. These are super handy for beach holidays and mean you don’t need to leave that one family member behind to guard any belongings! Is there anything more chic that monochrome stripes? 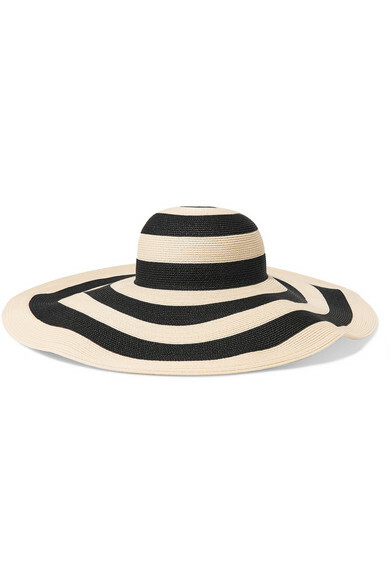 Make any summer vacation outfit instantly more polished with a Eugenia Kim wide floppy brimmed sun hat. Eugenia Kim pairs clean, classic shapes with fresh, feminine and contemporary design. We love the added sense of humour and wit in her designs as well as the brand’s use of high quality materials and production methods. Use this hat to shade yourself from the sun’s rays or simply to throw some shade with all the glamour you exude whilst wearing. Any fashionista worth her salt knows that this season the only bag you need on holiday is a hand-woven beach tote and this one by Kayu is ideal! 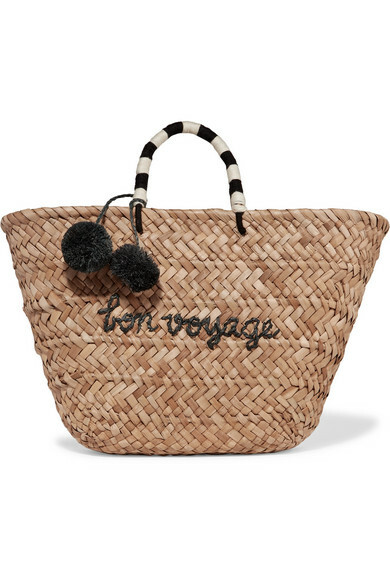 The roomy interior has bags of room for your beachside essentials and the pompom embellishments add a sense of fun! Kayu blends contemporary fashion with traditional crafts of South East Asia, creating handmade products using indigenous techniques that have been passed down generations. The brnad work with cooperatives and artisans many of whom learnt to weave from their mothers and their mothers before them. Each bag bears the mark of the individual artist who created the product and Kayu ensures they are as ethical and sustainable as possible and pay a fair, living wage to all artisans. Look good and feel good with this summer must-have! 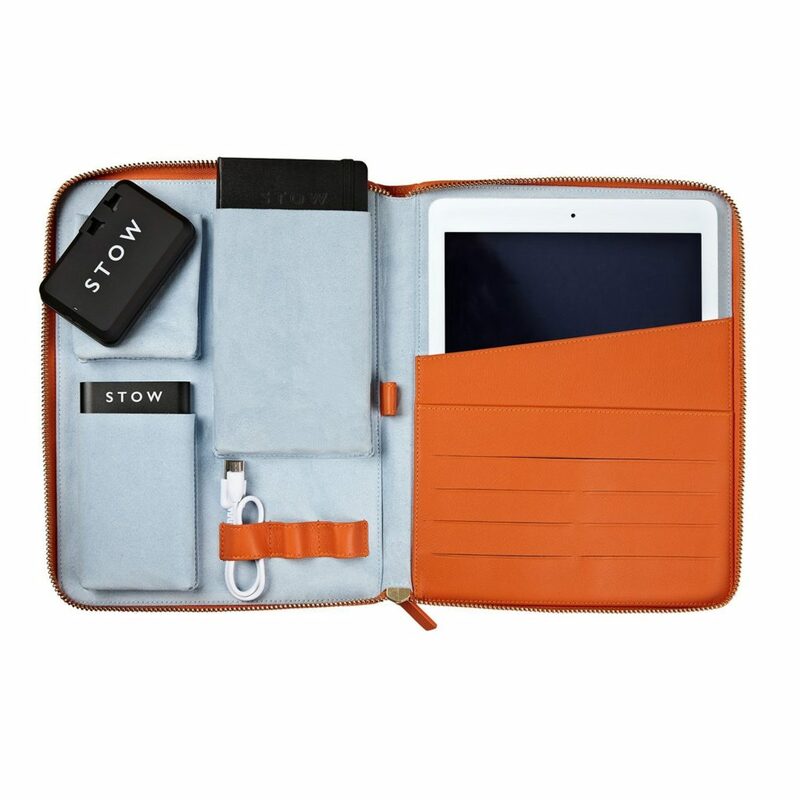 On sunny summer vacation ensure your tech accessories are as well re-charged as you with a luxurious leather tech and tablet case from Stow London. Their World Class Tech Case is a multi-use wallet that holds a 9.7” tablet, a universal travel adaptor (which can be used in over 150 countries) a Moleskine notebook for those important travel notes, plus options to add a Stow portable power bank and emboss your initials for the ultimate in luxury personalisation. 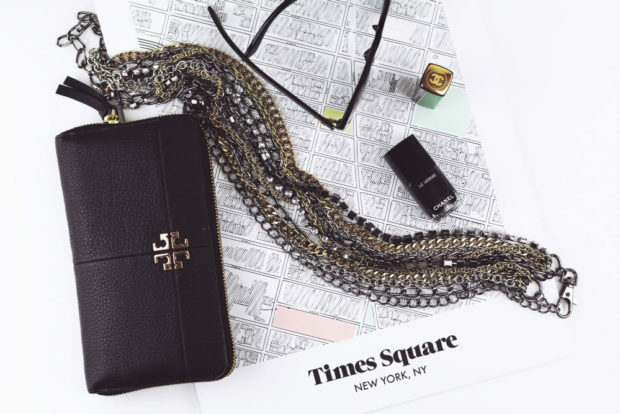 This handy case which is perfect for protecting tech accessories and travel documents stylishly when trotting the globe. Summer is all about the sun and we can’t wait to don our favourite designer shades. Don’t forget whilst your sunglasses protect your eyes, they need their own protection when you are on the go. You can imagine how happy we were when we discovered that Smythson have created the perfect accompaniment for our fav sunnies. 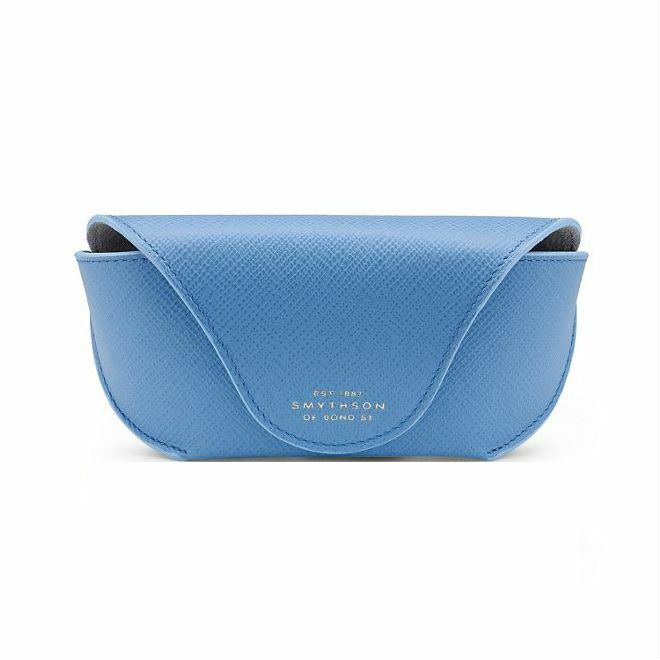 We’ve long been fans of Smythson’s beautifully crafted leather products and this super durable cross-grain calf leather sunglasses case in Nile blue goes perfectly with any vacation wardrobe! Catherine is the newest member at The Luxury Editor. As an Edinburger, she loves spending time exploring everything her city has to offer, in particular the abundance of cocktail bars. If you want to know the best place for a White Russian, she’s your girl!